Mohsen Mostafa Jokar is a Linux administrator who works at the newspaper Hamshahri as a network and virtualization administrator. His interest in virtualization goes back to when he was at school and saw a Microsoft Virtual PC for the first time. He installed it on a PC with 256 MB of RAM and used it to virtualize Windows 98 and DOS. Beyond Linux and virtualization, Mohsen is also familiar with Fedora Core, Knoppix, RedHat, bochs, Qemu, Xen, Citrix XenServer and VMWare ESXi. He recently wrote an introductory book on Xen calledÂ â€œHello Xen Project,â€ which is now available via thisÂ wiki. It provides a brief history of virtualization and the Xen Project, dom(s) and grub, using the Xen Project, and having fun with Xen. He hopes that more Xen users and experts will share their expertise and knowledge about this strong, stable and reliable virtualization platform through this wikipedia page. 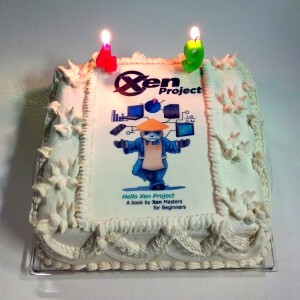 A celebration of Xen Project 4.9 and the wiki book.